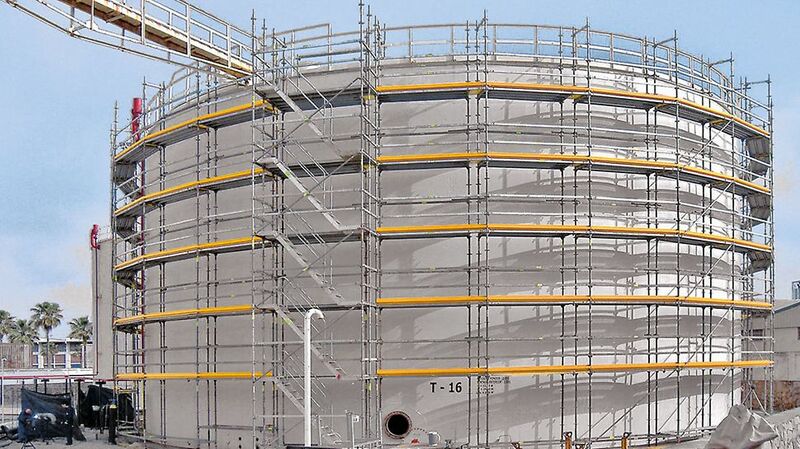 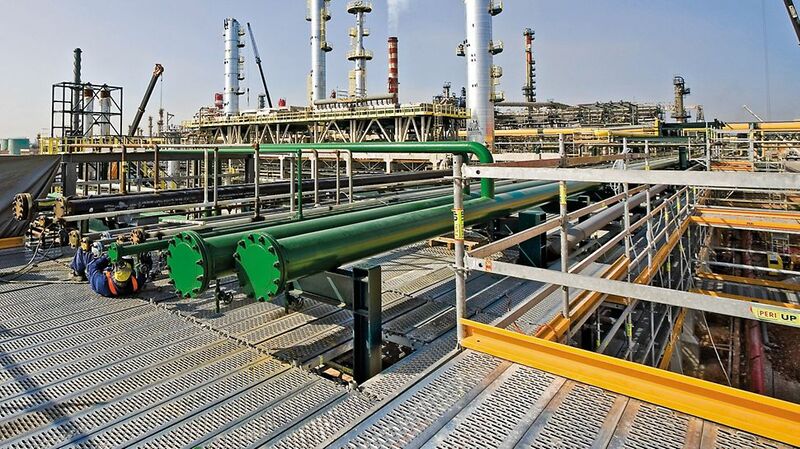 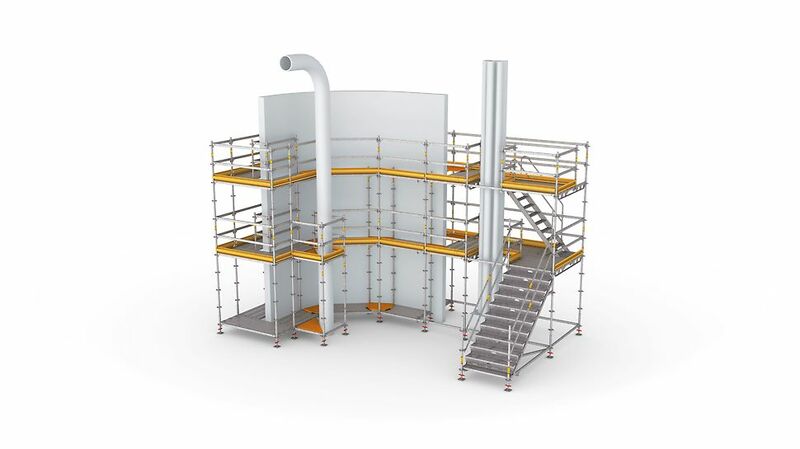 The highly flexible scaffold system PERI UP Flex leaves almost no request unfulfilled especially for industrial applications. 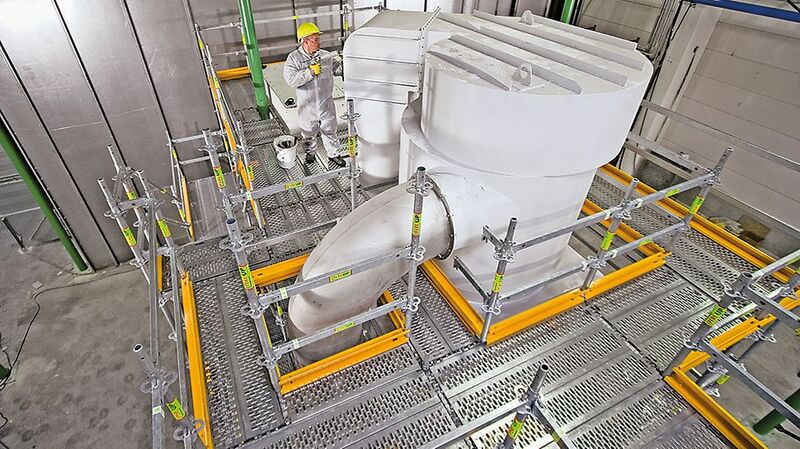 This allows almost any adjustments to be made to suit local site conditions and also fulfills the highest requirements regarding occupational safety for the working areas to be realized. 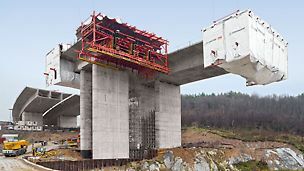 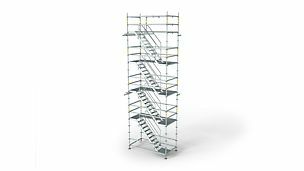 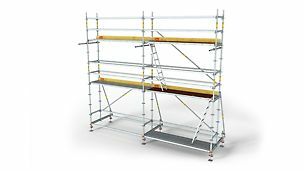 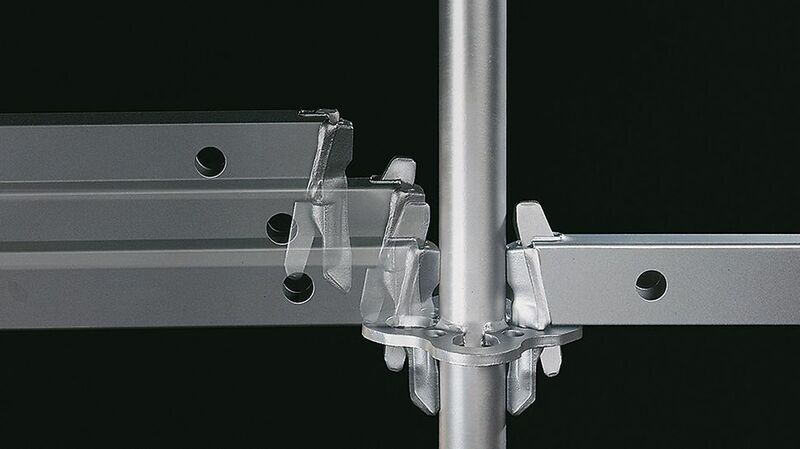 Flexible modular scaffolding system with connecting possibilities on standards every 50 cm. 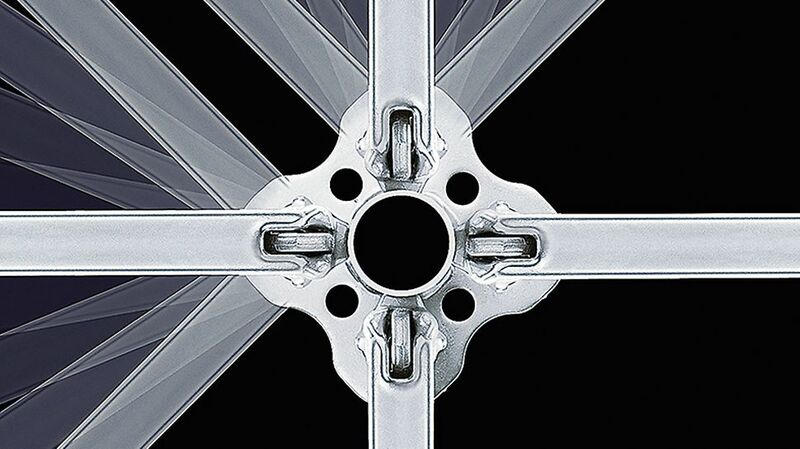 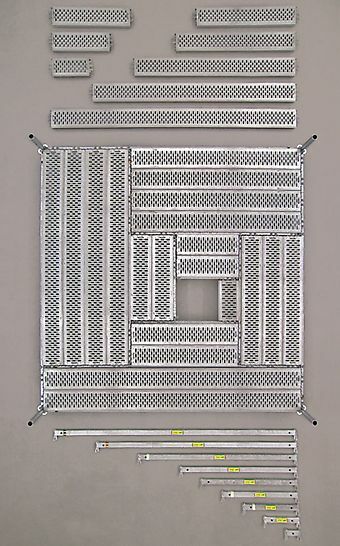 All components with grid dimensions of 25 or 50 cm allow any combination. 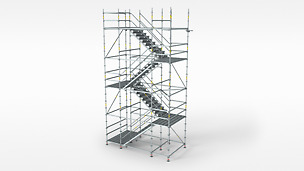 The flexibility of the PERI UP Flex scaffold allows a range of widths which are adapted to the respective requirements of the user. 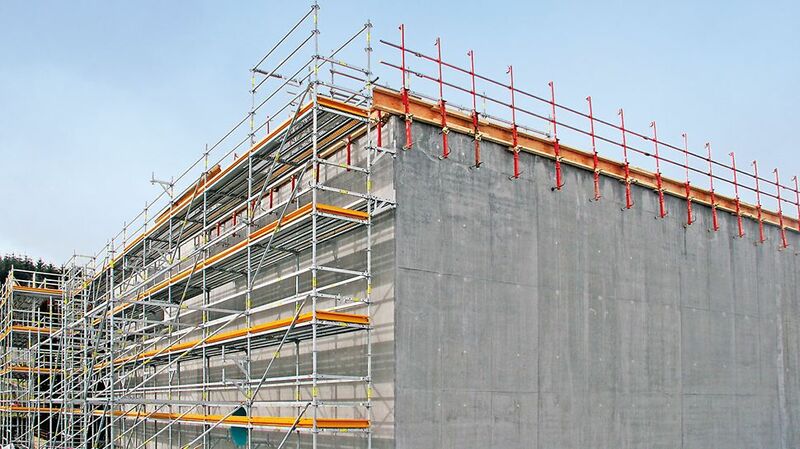 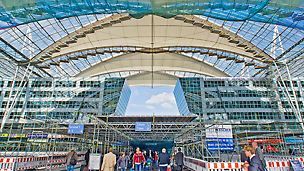 With few additional components such as console brackets or strengthened ledgers, complicated facade geometries can also be easily scaffolded. 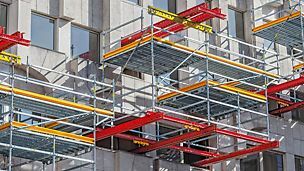 Working scaffold made of parts from Rosett modular scaffolding system for various widths with a non-slip steel decking directly mounted to ledgers!